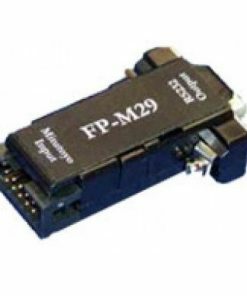 FlexPort is a renowned gage interface designers and manufacturer. Their products allow you to collect data from a great variety of digital gages such as Starrett, Mahr Federal, Mitutoyo, and more. Their interfaces have the ability to convert data to a standardized format for the purpose of populating any software package you have chosen. Some of the cool features you will find on their products include it being able to be used right out of the box, can be easily configured to match your custom requirements, LEDs for clear indication, and more. 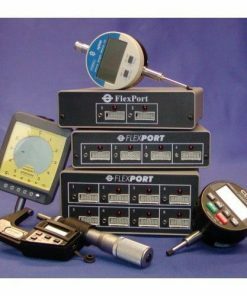 At Willrich Precision Instrument, we carry the latest models of FlexPort products. If you are in the market for FlexPort gage interfaces that can facilitate data collection from virtually any device, then you are in luck. Willrich Precision Instrument has nearly five decades of experience as a market leader and has partnered some of the leading brands in the metrology, inspection and gaging industry to provide you the best FlexPort products. What’s more, our knowledgeable staff are available at any stage of your product purchase process. Browse our large inventory to look for brand FlexPort gage interfaces and other cool products today. If you require further assistance, don’t hesitate to call us at 866-945-5742 or email us at sales@willrich.com.